A job interview isn't just about what the employer thinks of the applicant. Job applicants have to make sure they feel comfortable with their prospective boss, too. According to the Harvard Business Review and various studies, the most significant cause of workplace unhappiness isn't salary or vacation days, it's having a bad boss. A bad boss, according to leadership experts, is often unkind, micro-manages employees, is a bad communicator, is absent, doesn't really seem to care about employees' well-being or is guilty of all of the above. In a new CNBC Make It series, "On the Clock," we encouraged readers to tell us stories of weird, wacky or straight-up strange things they were asked to do at work. Unsurprisingly, the strangest requests often came from bosses. One woman, for example, was asked by her employer to drive her cat around Los Angeles for hours on end. It's important to steer clear of a bad boss and an uncomfortable work environment. Day-to-day unhappiness can squash even the most optimistic professional's career aspirations. Psychologist Amy Cooper Hakim, an expert on employer-employee relationships, encourages professionals to pay attention to their innate reaction. "Go with your gut," she tells CNBC. "If you feel uncomfortable during the interview, there's probably a reason why." "Does she not make direct eye contact when speaking? Does she appear 'too busy' for you?," says Hakim, co-author of "Working With Difficult People." 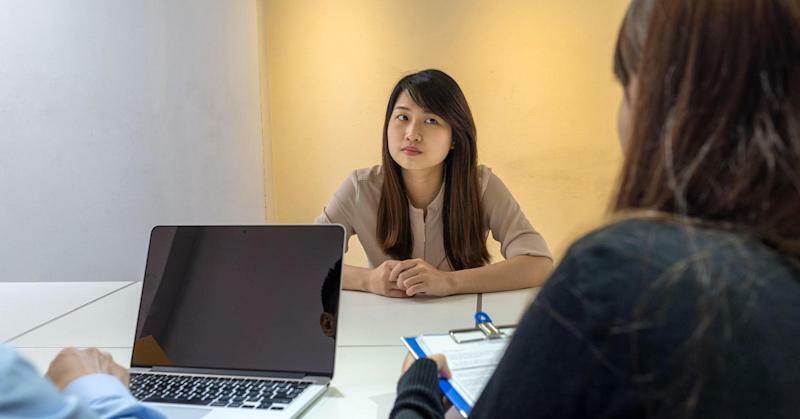 Managers who come across as arrogant or say things like "that's the way things are done around here" may very well end up being micro-managers or impolite, she says. "If [the employees] look miserable or overworked, then it is likely that you may be, too," Hakim says. In addition, be aware of how the boss treats his employees in the short time that you're there. If he was mean to one of them, chances are you'll receive the same treatment if hired. Marketing strategy consultant Dorie Clark says you can tell a lot about a person from how he or she treats your time. "Did they keep you waiting, and if so, how did they handle it?," Clark tells CNBC. "Everyone has occasional delays or emergencies. But if they kept you waiting for more than, say, 10 to 15 minutes, you want them to be contrite about it." "A blithe willingness to waste your time will carry over once you're officially their subordinate," says Clark, author of "Reinventing You." "If the boss makes fun of or minimizes your accomplishments when looking at your resume, consider this another red flag," Hakim says. "Someone like this will often criticize you instead of lifting you up." Also, pay attention to whether or not the boss has manners you'd expect from, well, anyone. Look out for a manager who is blatantly sarcastic, consistently interrupts you, texts or emails during the interview without explanation or seems uncommunicative. Putting someone else down in front of you is a bad move, Hakim says. "Think about it," she says. "The interview is the time for everyone to be on his or her best behavior. If the boss is acting this way now, how will she act when the honeymoon period is over?" If you see one or more of these red flags, make note of it. While it doesn't necessarily mean you shouldn't take the job, it's something to consider, especially if you have multiple opportunities or time to interview with another potential boss. Check out the personality trait a Google exec says most often leads to professional success.